Valerie Smith & Liberty Pike will be touring Europe from 5 May to 13 June 2011. Please check Valerie's artist profile and a wonderful promo video-medley. Valerie Smith - along with fiddler, singer, and composer Becky Buller - leads one of the strongest and most exciting acts in bluegrass music. 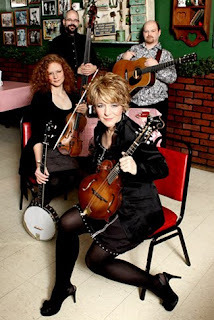 The quartet covers bluegrass as well as Western swing, acoustic country, and Americana. There are a few open dates for those that make up their minds late. Feel free to contact us about possible last-minute shows in your area.